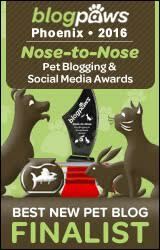 My Small Dog Won’t Poop Outside In The Winter… Is All Hope Lost? This week, Matilda pooped inside the house. Twice. 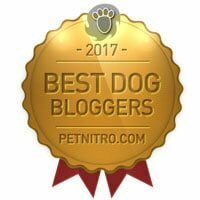 As a dog blogger, I was at first ashamed, then appreciative for the opportunity to explore an issue that I know a majority of small dog owners will be facing this winter. I also couldn’t blame her. She had both accidents on top of the stairs, probably when her bowels were jostled from the climb. She was alone when she pooped inside, and I suspect she did not even try to ring her potty bells. I believe that she did not want to go outside and poop in the snow. She held out as long as she could, and made sure to avoid having an accident in front of me. I ran out of potty pads months ago. They came in handy when we did not have access to a fenced-in yard. It wasn’t always safe or reasonable for me to take her out, and sometimes I didn’t want to go outside in the cold either. Now, I had to decide: should I get more potty pads to spare her from the cold, and because using a pad is better than having accidents? Or should I work harder to make her more comfortable with the idea of quickly doing her business? In the fall, 65 degree weather feels chilly. In the spring, it feels blissfully warm. This is because our body adapts to the cold the more we are exposed to it. Fall comes around when we’re adapted to warm weather, so our bodies have not had enough time to adapt as the first chilly days come around. By spring, we’ve had an entire winter of adapting to cold, so the first warm days feel very warm. If you are always using heat or air conditioning throughout the year, you’re not exposed to extreme temperatures frequently enough for your body to fully adapt. The same works for dogs; in order to adapt to cool temperatures, we have to expose them to the cold in a safe and controlled way. Taking your dog for plenty of walks each day as the cold weather sets in, instead of letting them out for a quick pee, gives their body opportunities to adjust. Aim for longer walks and trips to the park. At first, I dreaded cold walks, but I’m adapting to the cold too. After a few minutes of running, I feel warmer and I’m sure Matilda and Cow feel the same way. By the time we get back inside, they feel hot under their sweaters and coats as I undress them. I believe a good run gets the blood pumping and helps your dog’s body adapt much more than a quick, business-only outing. Head inside if your dog is shivering. Shivering is a sign that your dog having trouble maintaining their core body temperature. You can try getting your shivery dog to run to warm them up, but if you’re not able to stop the shivering after a few minutes, you need to get your dog someplace warm. Short-haired dogs and many medium to long-haired dogs need a coat or sweater in cold weather. Take note of where your dog’s coat is thinnest. My dogs have very little fur on their chests and stomachs. Many coats leave these areas exposed. Stretchy sweaters cover my dog’s chests and bellies. Consider layering if a thin sweater is not warm enough. You can let your dog wear a sweater, shirt or dress under her coat to make sure all vulnerable skin is covered. Some salt used to melt ice on sidewalks and driveways can burn your dog’s pawpads. Dog boots or paw wax can protect your dog’s pawpads from drying and cracking, and prevent salt burns. Dogs have a network of veins and arteries in their paws that act as built-in snowboots, keeping your dog’s paws from freezing in the snow. Going barefoot for a dog is not the same as it is for a human. My dogs don’t seem to mind going without boots. At the same time, dogs are vulnerable to frostbite on their ears, paws and tail. I’m especially worried about Matilda and Cow’s ears. Matilda has a hat, and Cow’s coat has a hood, but they hate having their heads covered. To prevent frostbite, I touch their ears when we’re outside. You’ll want to use your best judgement. It’s normal for them to get cold, but they shouldn’t turn pale blue in color or feel hard and stiff. 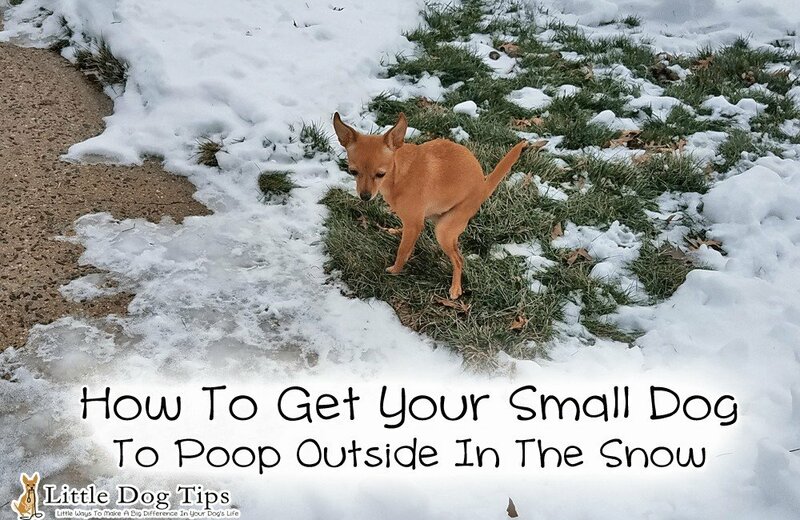 Shovel the snow away from a patch of grass to make a poop room for your dog. My “poop room” does have snow in it, but grass sticks up through it. It’s not perfect, but my dogs already use it with no guidance. You can also put down a tarp secured with rocks before it snows. Remove the tarp when it stops snowing, and you’ll have a clear patch. I haven’t tried this yet. I might try it with an old shower curtain if there’s another blizzard this winter. Something marvelous happened about 20 minutes ago. I heard Matilda ring her bell. She had just peed outside previously, so I was intrigued – was she really going to poop outside this time? And she did. She went right to the shoveled spot and left a log. Her reward was to come right back inside. Earlier today, she had a fun adventure in the park. She had a positive experience in the snow, and may have decided that she feels more confident about going out. Tonight, it’s 17 degrees outside. It’s unlikely that it will drop below 10 degrees here. However, if I lived in a colder climate, I might not bother. Older dogs with arthritis may be even more affected by the cold. It could be painful for them to be outside. You’ll need to be realistic. If it’s truly to cold out for your dog, it may not be humane for her to have to go outside. 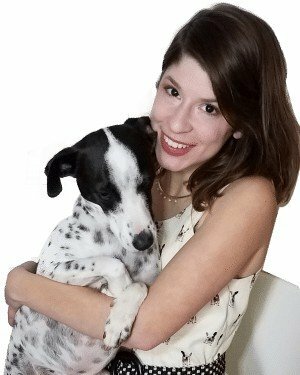 Potty pads will not necessarily make it impossible for your dog to be fully potty-trained. It’s way better for your dog to use pads than to let accidents happen. I’m glad Matilda knows how to use pads because when she’s old or sick it might be the best option for her. Accidents are infrequent and easily solvable. Her food is high in protein and grain-free, so her poop is firm and easy to clean. Sometimes, your dog will refuse to go outside in the cold. You may need to coax them outside with treats until they’re more confident in the cold. You may need to let them stay outside for a few minutes, even if they’re scratching the door to come in. If your dog does not successfully poop after a brief yet traumatic outdoor outing, you’ll need to make sure they do not have an accident. You can crate your dog for 15-20 minutes, then try again. You can also keep your dog close to you on a leash or just watch them closely. Regular mealtimes make it easier to predict when your dog is holding her poop. Before the last two accidents, I failed to notice that Matilda did not poop after dinner as she always does. Matilda did not get scolded for pooping in the house. Not only because I didn’t see her do it, but because I understood why it happened. She didn’t need to be scolded to gift me with a wonderful outside poop today. She just needed a little help. Scolding your dog for pooping inside will only make them hold it in longer next time. Make your dog more comfortable with pooping outside, and she’ll be glad to do right again. This is an excellent article and such great information. My Chi is housebroken, but she is also pad trained. She can’t stay out in extreme temperatures, do there are times when potty pads are necessary. I’m so glad you included this in your article, that it is acceptable and not to scold them. Definitely sharing this! Jane recently posted…What Happens When You Have A Creative Block? Thanks Jane! As a fellow Chi lady, you know the struggle. Great tips! My dog hates to go out in the cold. Excellent info. As the owner of a couple of bigger dogs, I can honestly say they aren’t all that keen on being outside when it’s bitter cold either but luckily we’ve not had any accidents yet. They will hold it as long as possible, then go outside in a mad dash. No sniffing or dawdling and right back inside quickly for snuggles and play. Great tips! I had no idea about the salt hurting their feet! Thanks for sharing! We bought a length of fake grass that Costco had that actually feels like real grass. When it snows you can put out the fake grass for your dog to do their business on. Our Chiweenie took to it quickly and it’s great on cold winter days too without snow for him to run out onto the deck, do his business and then come back in. Highly recommend it! That is a great idea! I am gonna be trying this out. My year old fully potty trained miniature runt dachshund is refusing to pee or poop outside. Our weather here in MN gets a lot colder than 20 degrees!I have four different coats for her but none of them go the full length of her little body. She also cannot be coaxed to do anything in the wind cold or warm. She refuses to use the pee pads and and I live on the 3rd floor of a 3 story apartment building and I do not have quick access to the outside. I know yelling at her does not work nor can she just peans poop wherever she feels like! I need advise please. If I were you, I’d keep trying with the pee pads or some alternative, like a grass patch, just because I’m sure you’re not happy about going all the way down to the ground floor multiple times per day when it’s freezing out. We’re moving into an apartment soon, and my dog Cow would never use a pad, so I’m hoping that she’ll be attracted to a fake grass patch with a spray attractant on it. Best of luck!